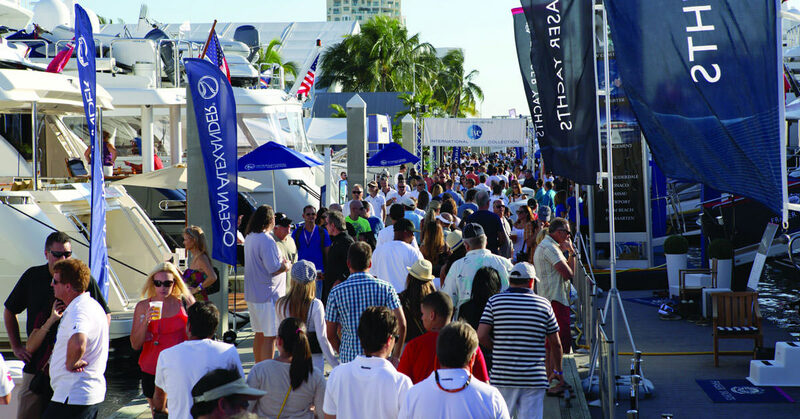 In its 56th year, the Fort Lauderdale International Boat Show is a premier event for boat and yacht enthusiasts. Held in beautiful Fort Lauderdale, FL, “The Yachting Capital of the World”, the show is held a series of locations in and around the vibrant Fort Lauderdale community. There are literally dozens of condos for sale in the neighborhood, along with restaurants, museums, beautiful beaches, and plenty of nightlife entertainment. Just minutes from Miami, The Fort Lauderdale International Boat Show attracts boat and yacht enthusiasts from all over the world to high performance boats, sportfishers, skiffs, yachts, bowriders, and catamarans from the top designers in the industry. Depending on the exhibit you are seeking, displays will be set up at Bahia Mar Yachting Club, Hall of Fame Marina, Las Olas Marina, the Greater Fort Lauderdale /Broward County Convention Center, Fort Lauderdale Hilton, the Pier 66 Marina, and The Sails Marina. All locations are within walking distance of each other for easy access to everything the Fort Lauderdale International Boat Show has to offer. Of course, you could take advantage of many of the Fort Lauderdale condos for sale in this area and be right in the middle of a boat enthusiast’s paradise! This year’s show will be held November 5th-9th with Thurs, Nov 5th being a special Prime-Time Preview package. Tickets for the Thursday showings are $41, and two-day tickets for the rest of the weekend are $43. General admission for one day is $25 for adults and $10 for children when ordered in advance. General parking is available at The War Memorial Auditorium or The Riverside Hotel Garage for $5-7. Some boats on display this year include the 194-foot HELIOS superyacht displayed by Edmiston & Company. In addition to all of the beautiful vessels on display, The Fort Lauderdale International Boat Show is home to various events and industry presentations. Be sure to check out the Blue Wild Watersports and Marine Art Expo in the lobby of the Fort Lauderdale Convention Center to see experts from all watersports including freediving, spearfishing, and stand up paddle boarding. The Fort Lauderdale International Boat Show is just one reason to take a look at the marvelous condos for sale in around this vibrant, emerging South Florida neighborhood. “The Yachting Capital of the World” is not just a clever name, as many of the luxury condos for sale in Fort Lauderdale feature boat slips to house all of your fleet. So whether you are in Fort Lauderdale to stay, or just for the boat show, you are sure to have a great time.